Saturday morning we woke up to sunshine and the promise of nearly 60 degrees outside! What a gorgeous little burst of sunshine in the middle of winter. 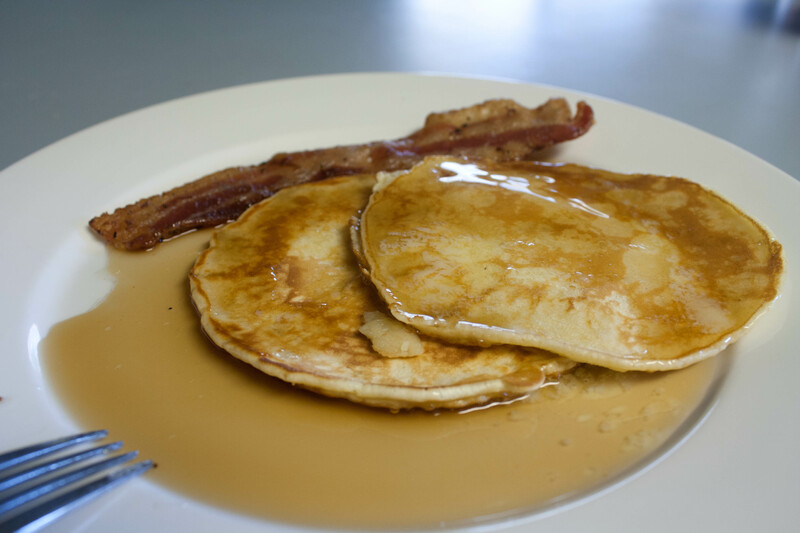 We shared a lovely breakfast of pancakes and bacon before heading out for a day hike. I was still getting over my nasty heady cold but feeling pretty good. 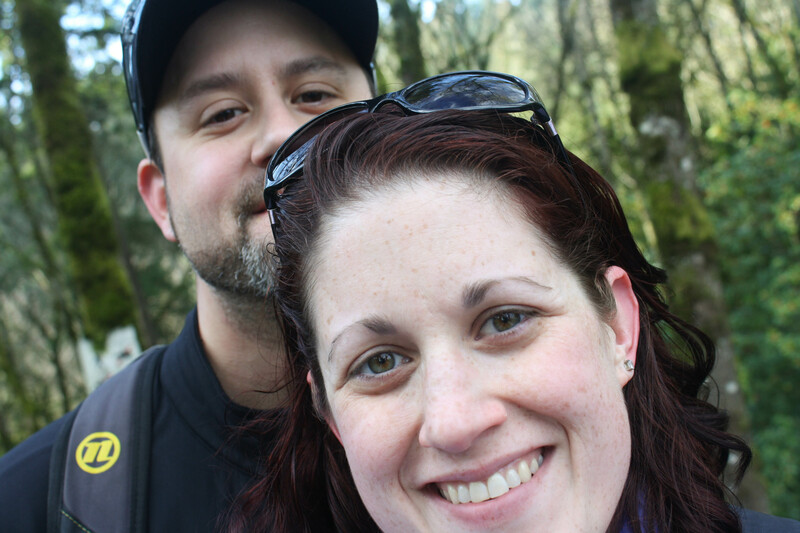 The hike we chose was the Gillette Lake Hike over at the Bonneville Dam. Unfortunately it was about 15 degrees cooler out in The Gorge and about 15x windier out there! It was quite unpleasant so we chalked it up to a nice drive in the sunshine, and returned to Portland. Instead, we did a hike that was right in the middle of the city. 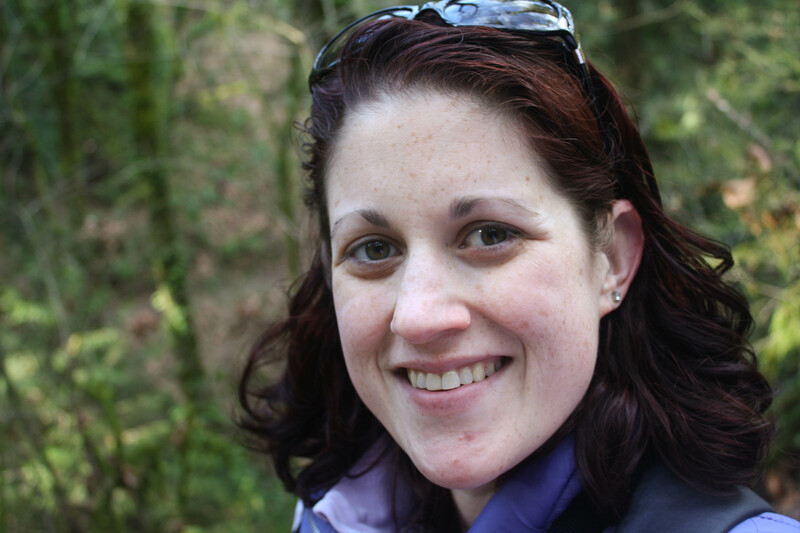 The hike was the Marquam Trail to Council Crest. 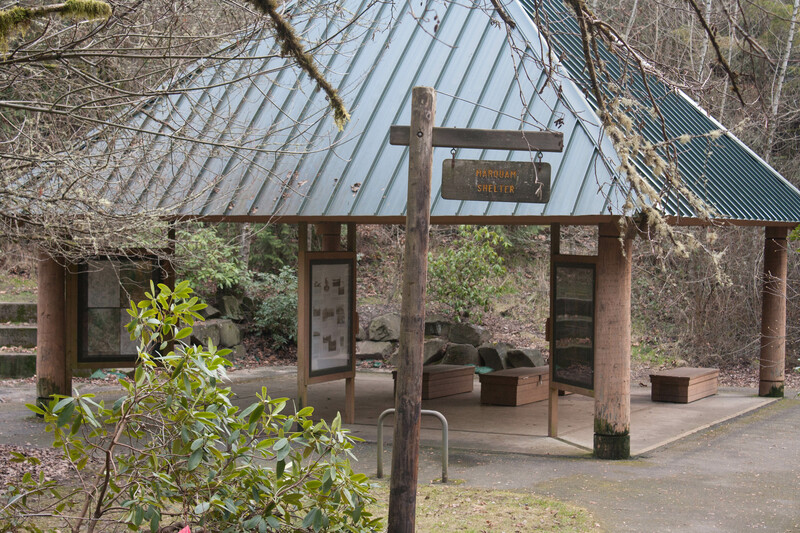 To get to the trailhead, get off I-5 at Terwilliger and SW Barbur, and drive up Terwilliger towards OHSU. The trailhead was small and easy to miss, but since it was such a nice day out we just kept our eyes peeled for a bunch of cars parked by the trailhead and we were right! The trail was classified as “Moderate.” There was a climb right at the start, but it wasn’t too bad. 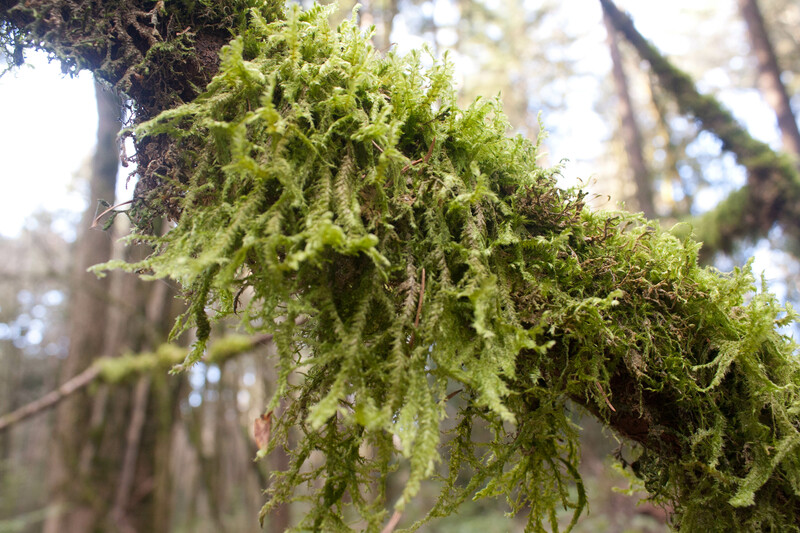 The trail went up the side of the hill, through tall trees covered in moss. It was so much warmer and not windy in town! The sun was so bright and the sky was bright blue. It was such a lovely day. My stamina was definitely not what it used to be before my cold took over. I wasn’t feeling sick or weak, but I also wasn’t ready to run the entire trail! 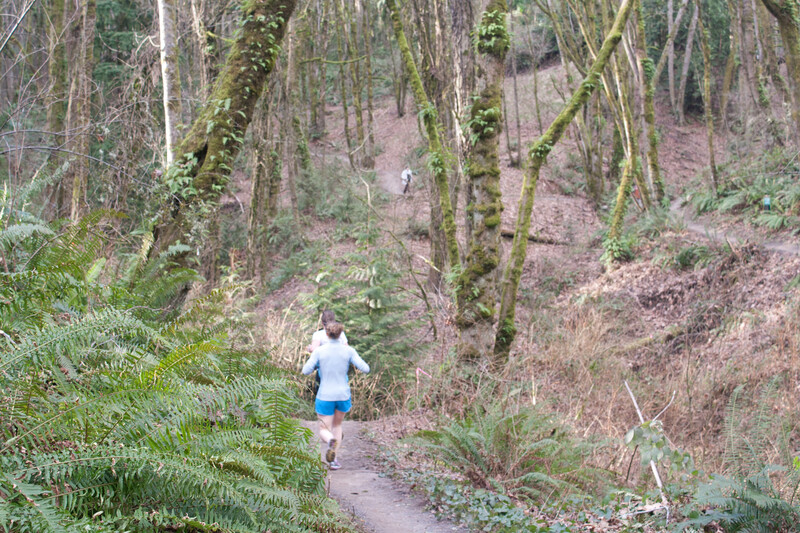 Speaking of running, we saw half a dozen trail runners during our hike, too. The trail went steadily uphill. We were definitely getting our hear rates up. 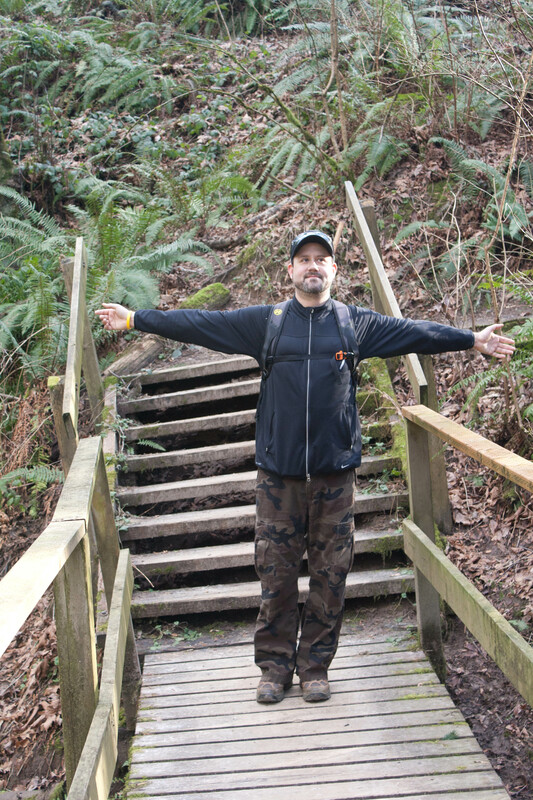 I still don’t know that I’d classify the hike as “Moderate.” It was more “easy” with a few “moderate” spots. It wasn’t unpleasant but definitely not the type of hike for someone with any sort of knee issues. Luckily, my knees were holding up. The trail went downhill a little bit. The trail was very dry, with only a few muddy spots. We crossed the main road and picked up the trail on the other side. 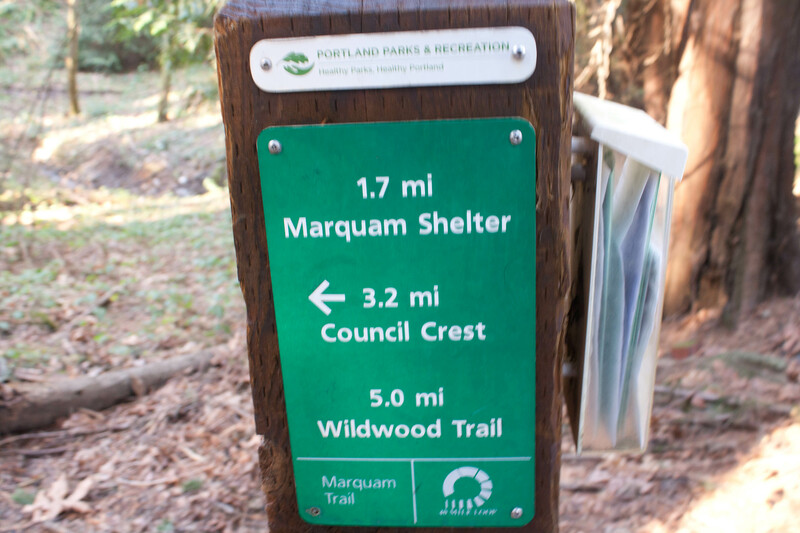 I realized once we got to the other side of the road that the Marquam trail eventually connected to Washington Park! It was part of the 40 miles of trails there. This part of the trail was straight downhill. It was easy to get going and start running down the trail. I can see why the runners love it there! 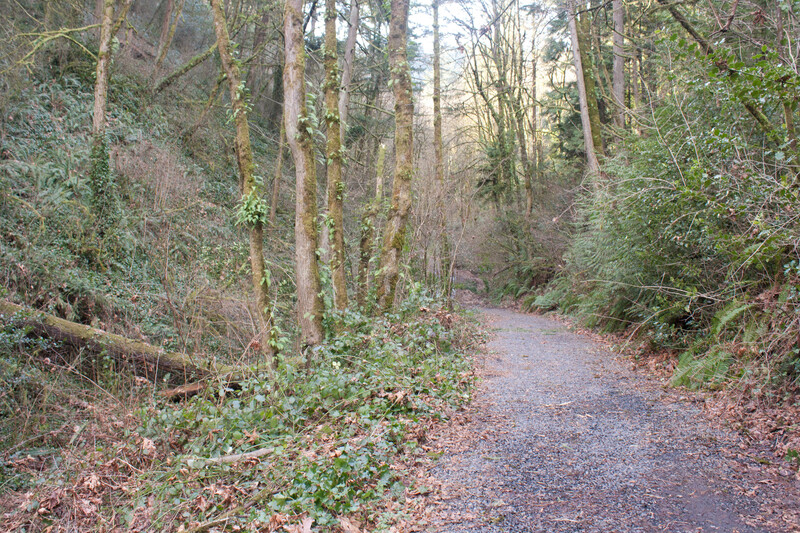 We got to the bottom of the trail and took the fork in the road towards the Marquam Shelter. We stopped at the shelter to eat our lunches that we packed. Sitting still while sweaty means getting a chill pretty quickly so we didn’t stay too long once we were done eating. We headed back up the trail. 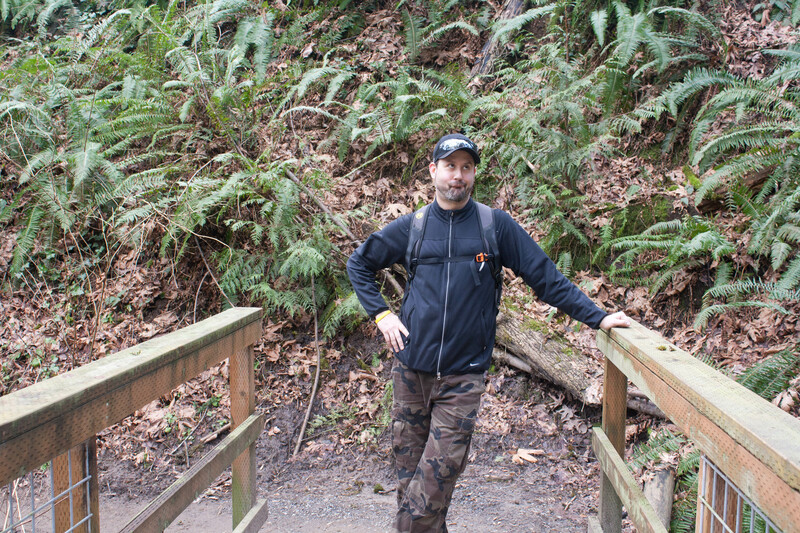 It was a steady uphill climb back to the main trail. We definitely got our hearts pumping as we climbed back up the Marquam trail. We decided to head back instead of continuing onto Council Crest. That will have to be another day when we have more time and more energy. I didn’t want to wipe myself out. We crossed the road and picked up the trail again on the other side. It was mostly downhill the rest of the way. We crossed over a few creeks. There was this crooked little bridge and staircase that felt like it was about ready to fall off the face of the earth. It was entirely crooked but felt steady enough. My cold didn’t hold me back too much. 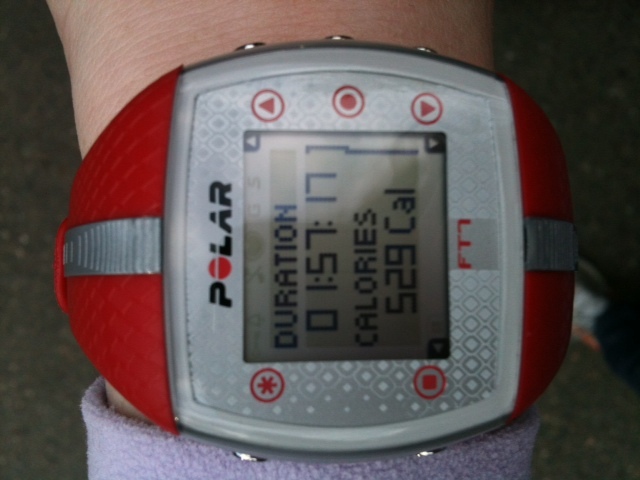 My body felt pretty good–my runny nose, not as great, but I was glad that my body didn’t feel fatigued. Michael’s back was holding up, too, so even better. This little hike was such a GEM! It’s the perfect day hike right in the middle of the city. It was easy to get to, fairly easy to find, and close to everything. 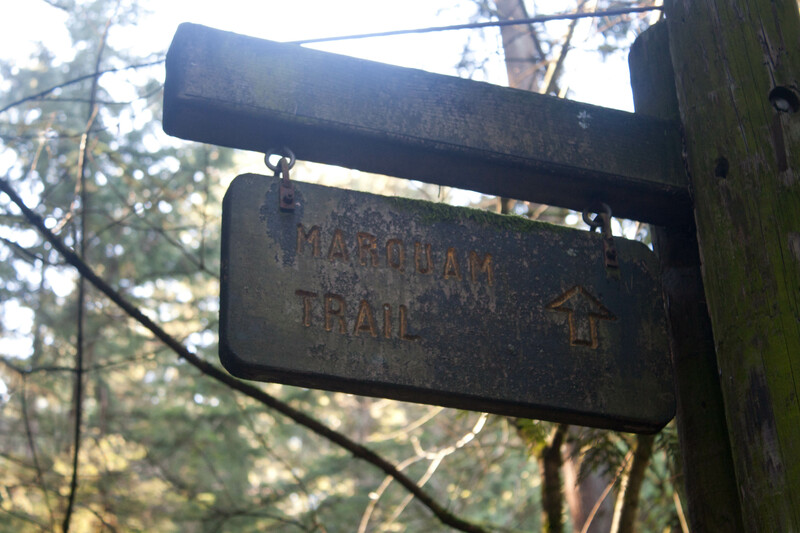 If you’re in Portland looking for a hike that will get your heart pumping, but don’t want to drive an hour east, definitely give Marquam Trail a try. You can extend this little hike into so much more, as well. 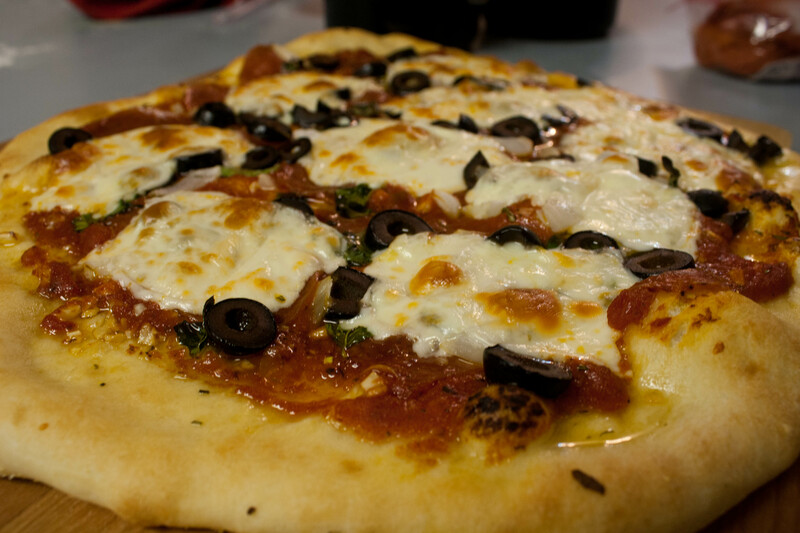 So please pack a lunch and some snacks and give it a try! We got back to the car and stopped by the Viewpoint near the Chart House restaurant–which Michael and I want to try someday. I’d never heard of it, but the seafood restaurant was perched on the side of the hill overlooking the water and valley below. What a romantic spot! When we got home I took a short nap. I was suddenly exhausted. Then I spent a the rest of the afternoon finishing Season 1 of Downton Abbey and starting season 2! I am officially addicted! QUESTION: How far do you have to travel from home to find good hikes? 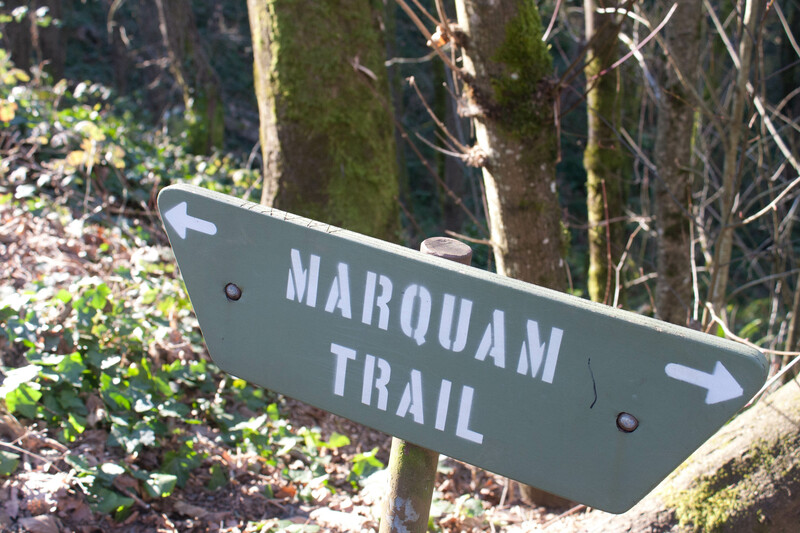 Have you done the Marquam Trail? you were in my ‘hood! 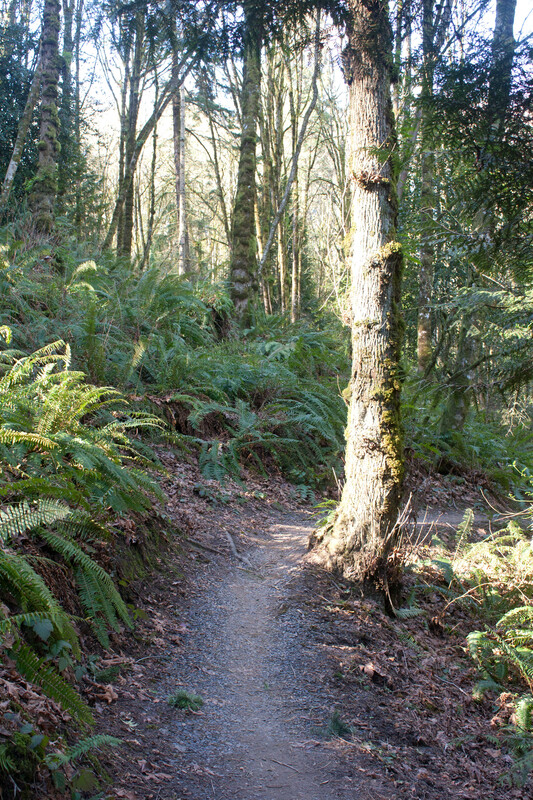 I adore how SW Portland has all the forest-y goodness in it-i’m a fan of the trees! 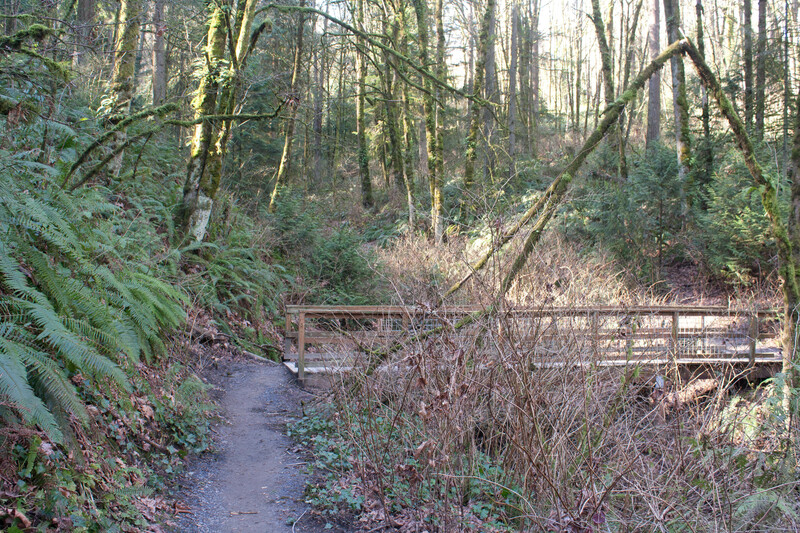 Tryon Creek is nice too. 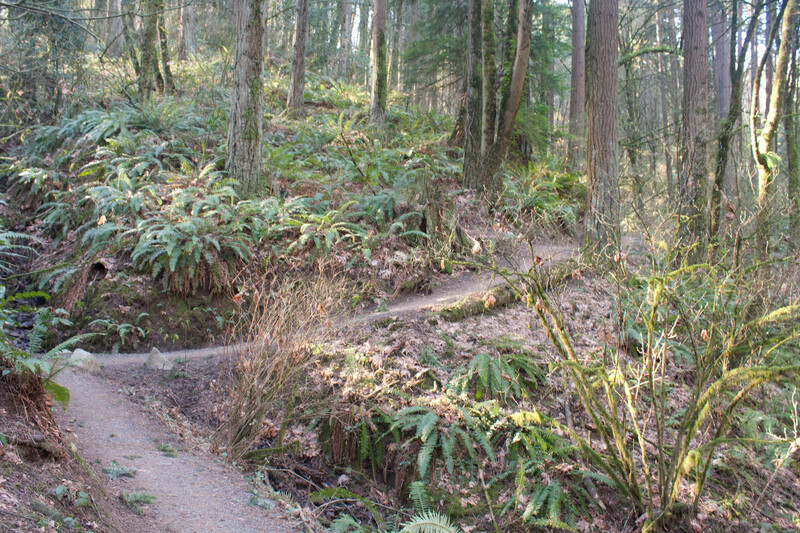 although I get totally turned around in it-tons of little trails all intersecting. But pretty! I thought about you when we were looking for the hike! It’s such a nice area. 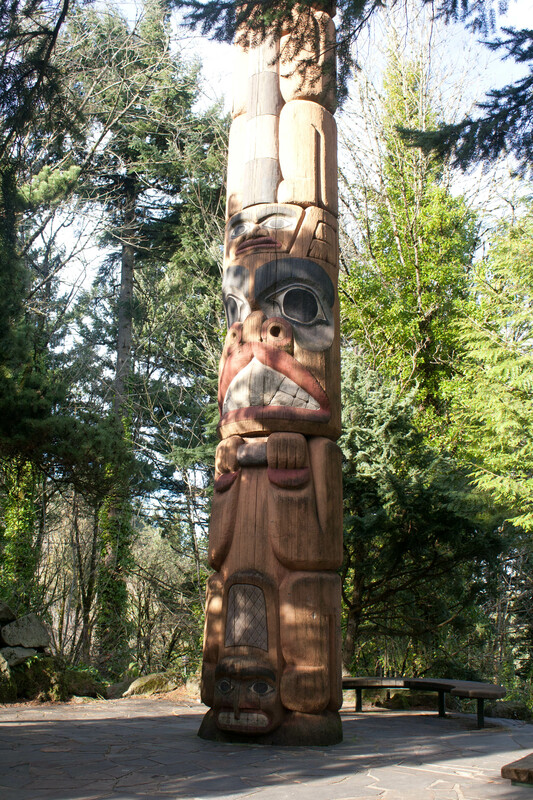 I loved it when I lived in Multnomah Village. Hillsdale is super cute. Have you eaten at Chart House? Looks like a really nice day. Where I live, we ended up getting a big snowstorm Saturday with over 10 inches of snow! I’m relatively new to the area that I live in, and still trying to find trails. There’s quite a few of them, but they’re more flat, with not a lot of hills. We have to travel about an hour to find a decent place to hike because we are on the edge of farm country. Our house is surrounded by cotton/soybean/corn fields. Literally. There are a few nice spots in town, but for the most part we have to drive at least 35 minutes to get to any real hiking. The best hiking is over an hour away.